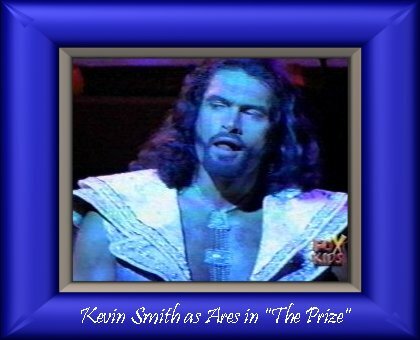 Kevin Smith as Ares in "The Prize"
I must confess, I actually had these videocaptures done long ago. I don't know why I hadn't put them up. Well, now here they are for your viewing pleasure. This is merely a fansite and does not intend to infringe on rights held by Young Hercules, the series' production company, and associated parties. I merely wish to showcase the wonderful talent of Kevin Smith.